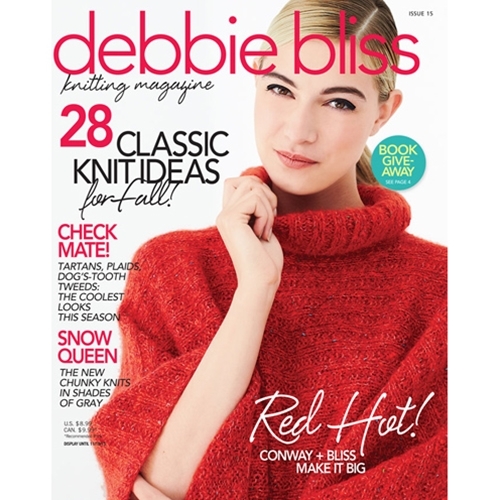 New yarns and booklets, additions to the Debbie Bliss housewares line, an interview with the design team Conway + Bliss and more. Rosy Tucker unravels your knottiest knitting questions. Designer Anna Wilkinson moves into an 18th-century stables. Interview by Mia Pejcinovic. Kate Haxell on coping with annual grandma-knit holiday sweaters in the fashion-challenged Seventies. Who says sweaters for little guys can't be both rugged and handsome. Bold, quick-knitting fashions from the design team of Teresa Conway and Nell Bliss. Fashions perfect for layering, knit in neutral-toned Lara yarn. Classic check patterns get a cheeky update. Color-flecked accessories with bohemian flair. Elegant lacework and Noro yarns make for stunning pairings.